With branches in Honmachi and Horie in Osaka, Ajikitcho has has been listed in the Michelin guide for seven consecutive years. Multi-course meals are served using fresh seasonal ingredients and seasonal food so the menu changes with each season. Full-course lunch and dinner is served in order and nicely presented on traditional Japanese dishes. 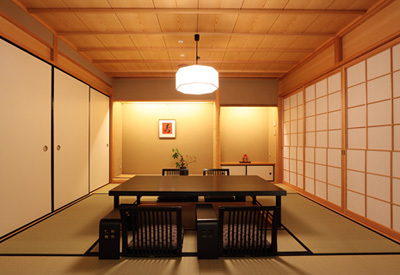 A truly unique and traditional Japanese experience where you can enjoy the cuisine, atmosphere, hospitality, and relax in an oasis of serene tranquility, taking in the feeling of each Japanese season with all of your five senses. Enjoy each moment and savor the refined taste of authentic Japanese cuisine at Ajikitcho Bunbu-an. 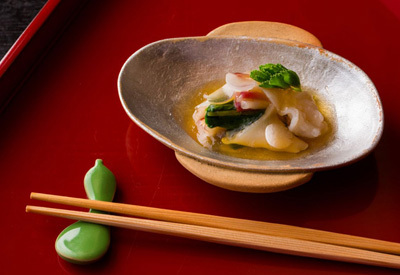 Chef Ryusuke Nakatani, the second-generation owner at Ajikitcho, continues to create the finest Japanese cuisine in the world and keep the legacy and essence of this special cuisine alive. Ajikitcho Bunbu-an has been listed in the Michelin Guide for 7 consecutive years (one star), and Ajikitcho Horie has maintained two stars.